Cliff began farming with his father, Dandy, at an early age. Our family is continuing that legacy with Dandy’s grandchildren and great grandchildren, as we continue caring for God’s earth. Along with our organic row crops, we began planting vineyards in the fall of 2003. 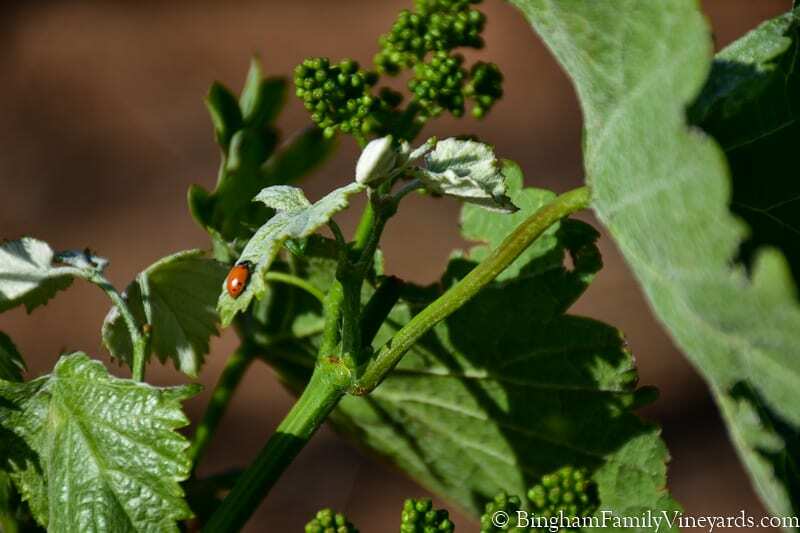 The vineyard plantings have continued as we have also begun making wine with those grapes to share with you. We are one of only a handful of Texas wineries that sell only 100% estate bottled wines. Estate means that we grow all of our grapes and produce all of our own wine at our winery. We currently own or manage 170 acres of grapes in production in the Texas High Plains AVA. Our seven blends are a marriage of the best combination of the variety of grapes that we grow. We then bottle seventeen of our varietal wines with plans for more in future harvests. Our varietial wines allow our club members to explore a wide number of 100% Texas gown wines. We plant our vines four feet apart on rows spaced eight-feet apart. This gives us more plants per acre than many vineyards. This creates a better micro-climate increasing inter-plant competition helping promote lower vigor and helping keep the plants from getting too growthy. Because the vineyards are on eight-foot spacing, we have a smaller set of tractors and equipment to cultivate and maintain the vineyards than we use for our other row crops. We also utilize GPS-driven tractors to perfect the accuracy of our rows. In addition, we have developed a special planter, t-post driver, and plows to automate the installation of the planting and trellis system. We use a Gregoire harvester. In addition we use a mechanical pruner to allow pruning to be delayed and minimize hand pruning. Cabernet Frac, Cabernet Sauvignon, Carignan, Dolcetto, Merlot, Mourvèdre, Petit Verdot, and Tempranillo. New plantings of Teroldego and Graciano spring of 2017. Albariño, Gewürztraminer, Malvasia Bianca, Marsanne, Moscato Giallo, Roussanne, Sémillon, Trebbiano, Chardonnay, Vermentino, and Viognier.